J.D. with Honors 1971, Florida State University; B.A. with Honors 1968, University of South Florida. Judge, First District Court of Appeal, 1993-present; private law practice, Partner, Katz, Kutter, Haigler, Alderman, Davis & Marks, 1987-1993; Swann & Haddock, 1985-1987; Senior Legal Aid, Florida Supreme Court, 1971-1985, Executive Assistant to Chief Justice, 1982-1984. J.D. with Honors; Valedictorian speaker--Florida Bar exam 1971; Gold Key Honor Society (U.S.F. equivalent to Phi Beta Kappa); American Jurisprudence Awards for Excellence in Remedies, Land Finance, Family Law, Creditors' Rights and Debtors' Remedies, Trial Practice, Labor Law, Mass Communications Law; U.S.F. Honor Court and Board of Discipline and Review; Recognized at U.S.F. Honors Convocation. 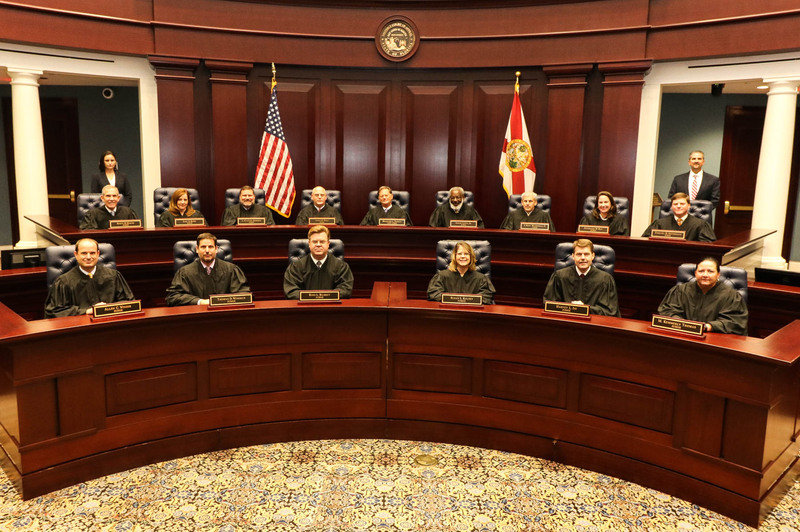 Florida State Federal Judicial Council, Executive Director, 1985-present; Supreme Court Local Rules Advisory Committee, Chairperson, 1988-present; Florida Bar Appellate Court Rules Committee, 1988-present, Vice-Chair 1995; Chair, 1995-1997; Rules of Judicial Administration, 1995-present, Chairperson 1997-1998; Judicial Evaluation Committee, 1995-present, Chairperson 1999-2000; Executive Council, Appellate Advocacy Section of the Florida Bar; Florida Bar Second Judicial Circuit Grievance Committee, 1990-1992; Supreme Court Special Disciplinary Rule Committee, 1977-1978; Florida Bar Disciplinary Rule Committee, 1985-1987; Standards for Appellate Practice Certification Ad Hoc Committee, 1992-1993; Florida Bar since 1971, American Bar Association, 1975-present; U.S. District Court, Northern and Middle Districts, since 1971; Supreme Court of the United States; Florida Supreme Court Historical Society, Board of Directors, 1985-present; Florida Supreme Court Restructure Commission, Reporter, 1971-1980, 1984-1986; American Arbitration Association, 1991-present; Judicial Management Council Committee on Appellate Workload & Jurisdiction, 1996-1998; Appellate Practice & Advocacy Section, Appellate Rules Liason Commitee, Chair, 1996-1998; Arts in the Court Committee, Chair 1999-present; Faculty Member for the 1999 and 2000 Florida College of Advanced Judicial Studies. Member, Trinity Methodist Church; Alumni, Florida State University Law School, Alumni Association; University of South Florida Alumni Association Board of Directors, 1999-present. "Impeachment in Florida," 6 Florida State University Law Review 2 (1978). "Attorney's Fees: Draft Your Contract Cautiously," Volume LXIII, No. 5 The Florida Bar Journal (May 1989). "A Plea for Uniformity," Volume LXIV, N. 4, April 1990. Court Awarded Attorney Fees, Matthew Bender, three-volume federal treatise--revise and supplement every six months. "Attorneys Fees and Costs in Administrative Proceedings," Administrative Law Section Newsletter, Vol. XIII, No. 3, March 1991.